Buy Assassin's Creed Brotherhood Deluxe Edition and get the games download now! - The Officer - Death's Finest Ally: Few have seen him. Even fewer have lived to tell about it. Fear is his friend, and Death is his ally. - The Harlequin - The Walking Nightmare: Behind the gaudy costume and twisted smile lies the soul of a merciless Assassin. - Fashioned by the Helmschmied Armory in 1489, only a few sets were completed due to the weight of the metal. Very few men proved strong enough to wear it. 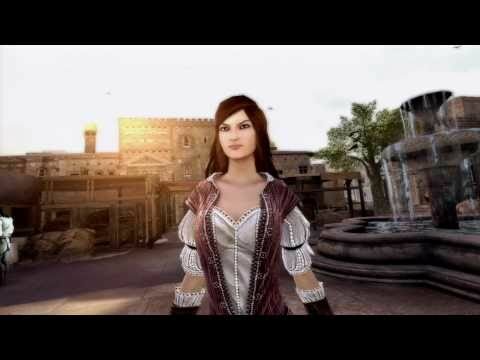 - Take a closer look at the history of the Assassins and art of Assassin’s Creed Brotherhood. - A set of trading cards featuring all the characters of Assassin's Creed Brotherhood Multiplayer, including their kill moves and biographies. - Explore the events that revolve around Ezio’s father, Giovanni Auditore da Firenze, and gain insight on the Assassin’s Creed story and universe. - Go behind the scenes with the development team to learn about how the game was made and Ezio’s continuing story. - 22 songs from the original game soundtrack by Jesper Kyd. © 2010 Ubisoft Entertainment. All Rights Reserved. Assassin’s Creed, Ubisoft and the Ubisoft logo are trademarks of Ubisoft Entertainment in the U.S. and/or other countries.."PlayStation" is a registered trademark of Sony Computer Entertainment Inc. Microsoft, Xbox, Xbox 360, Xbox LIVE, and the Xbox logos are trademarks of the Microsoft group of companies and are used under license from Microsoft. Software platform logo (TM and ©) EMA 2006.